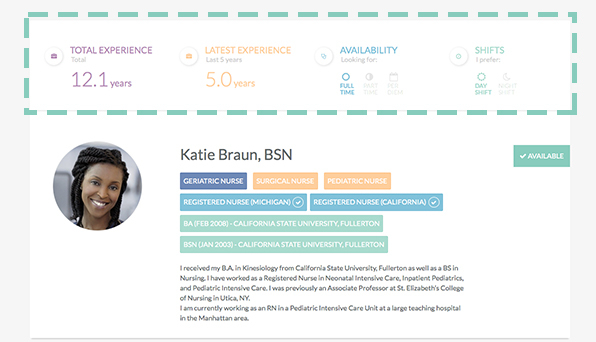 The StaffGarden team is committed to making the absolute best tool for nurses to create & share their ePortfolio. To do this, we’ve listened to your feedback & have implemented some of the most requested features. These awesome new additions are sure to help you showcase your expertise & Get Noticed by both recruiters & management everywhere. 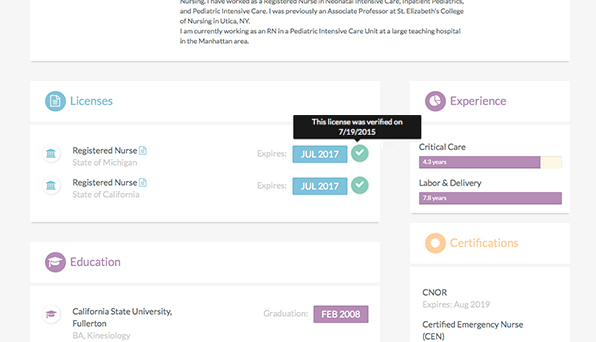 Your nursing ePortfolio now has a fresh and clean new look, featuring an overview bar, which helps potential employers view your experience and availability at a quick glance! 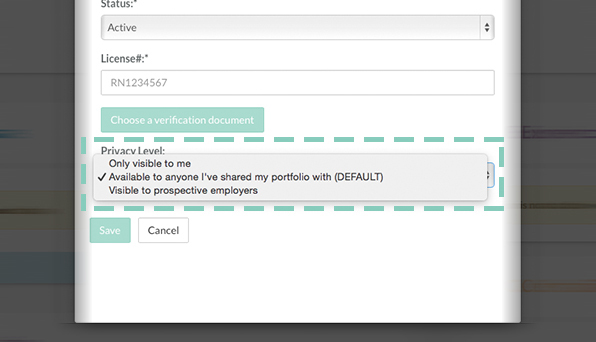 Now you have total control over who sees your ePortfolio and all its specific contents! Make your information visible to potential employers, specific people that you’ve shared to, or just keep it private for yourself. 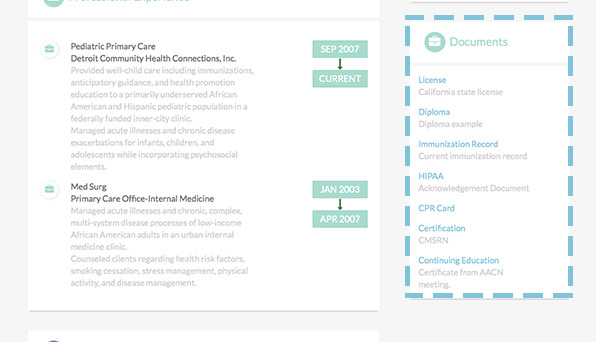 We’ve added new fields to better customize your ePortfolio to your needs. Still in nursing school? 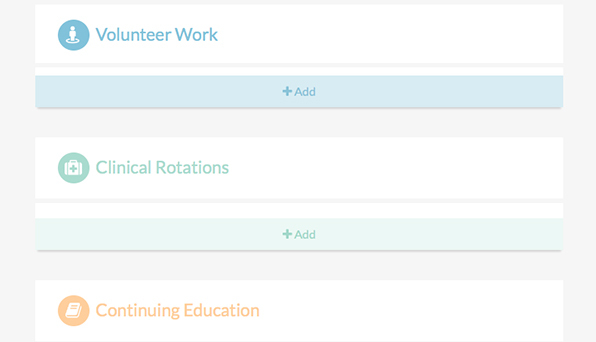 Our Clinical Rotations field will help you keep track of that experience! Upload all of your licenses and we will validate them! Our system will also notify you when you have a license that’s about to expire. We stay on top of it, so you don’t have to! You now have a place for you to upload your relevant documents. 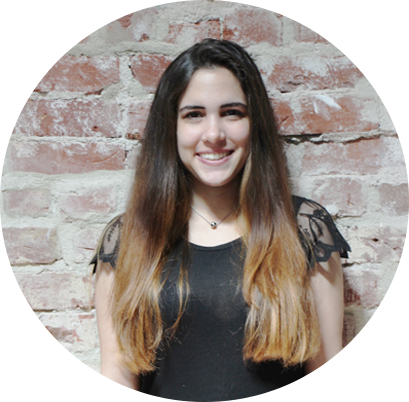 Have any research papers or a thesis that you’re proud of? Show them off here! Dive in and reap the benefits of these brand new features! If you have any questions, please contact us or use our new chat tool found on the bottom of every page. We’d love to hear your feedback! Can’t live without tacos or sushi. Obsessed with all things soccer. Fashion is cool too.